I just bought a 2008 Eddie Bauer Taurus x that has about 115k on it last year. A few months after purchase it started doing the sputtering missfire thing at about 45-65mph at low rpm when going up slight incline or accelerating slightly. We started putting premium in it and it stopped missfiring as much. Now it is even doing it with premium. I really hope its just the spark plugs. Im going to try to replace them this weekend. Not looking forward to taking the whole intake manifold off. This issue has me pretty worried since we are trying to buy a house and really cannot afford for the transmission to go out on our car right now. Would completely throw a wrench in house hunting. MadMatt2024 have you changed yours yet? Any success? 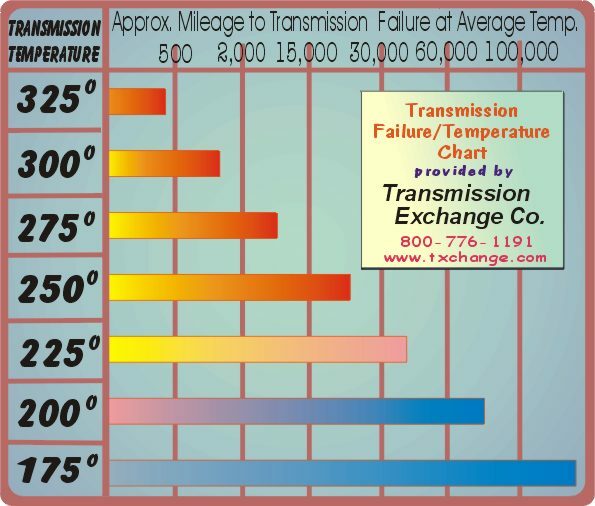 Your symptoms sound like the plugs and switching to premium gas would have no effect if it was a transmission problem. Doing the plugs is easy. Just take your time. Just change the spark plugs and you will be good.....now depending of how long you drove the car like that lets hope you didn't fried a coil.....anyways they are around $40. Most likely the spark plugs were never changed......100k is the limit ....where are you in Canada? Just finished a friends Taurus X with over 200k and spark plugs never changed, it took an hour and a half with a beer break, he had the misfire issue also, new spark plugs fixed the issue, the spark plugs gap on the original plugs was double the required one, I couldn t believe it. We reused the intake gasket with no issue, just clean the gasket area with carburetor cleaner, we cleaned the PCV valve also while we are at it. 200k on original plugs is both impressive and crazy. atetraxx wrote: MadMatt2024 have you changed yours yet? Any success? I changed the plugs, coil boots, and intake gaskets over the weekend. So far it seems to have cured the issue. I'm also glad I changed the coil boots, they were brittle and would crack if you pinched them. Several came apart when I removed them. I probably should have done the boots the first time I did the plugs. But that's the thing. Doing the trans stuff DID fix the issue for 3 days and when it returned it was significantly less that it was before. When a car is under load the timing of the sparks is advanced or retarded ( this is done by summing the data from air temperature sensor, coolant/engine temperature sensors, altitude/barometric sensor, throttle position sensor etc ) now when your car was bucking was under load and given the bad spark plugs state it was missing/misfiring, hence limiting the engine power and even allowing the transmission clutches to slip because lets say the auto transmission was in 2nd gear but the misfire would not allow the engine to produce enough rpm or power and that would allow the clutches to grip. Now the transmission fluid have so called friction modifiers ( you can buy at Ford dealership ) inside they allow the clutches not to slip under load, if the transmission fluid is close to end of life those friction modifiers are spent and the clutches will start to glaze and slip. You can find a lot of people who had the same issue and they just poured friction modifier in the transmission fluid ( me included ) and it will "cure" the issue for a short time. In your case just the fact that replacing the valve body on your transmission required a fresh fluid change and "cured" the issue for a few days but no amount of friction modifier would make up for the lost power caused by the engine misfire, you could install a brand new transmission and I will guarantee you that after a month you would have been back to the same issue. You can watch this to start to understand how automatic works. I did change the fluid a second time and added a friction modifier once I found out it was doing it again but that did little to nothing. The only thing I can figure is that the shock load from the misfire could cause a clutch to slip slightly and show up on the scan tool. I know how a transmission works and you explanation still doesn't really tell me anything. All I know it that for now its fine and it has nice clean trans fluid. Bought my 2008 FWD with 200,000 miles, it now has 235,746. Drives like a dream and doesn't use any oil. Was a fleet vehicle for the first 100,000 miles with a good service history, then a salesman put on another 100,000 in 2-3 years. He changed the transmission fluid before he sold it to me. So far I had to replace the right front wheel bearing. I hit a bad pothole during the winter and it blew the rh front strut also. So I just replaced the front stuts with a low mileage set from the junkyard $38. Oh and if you ever do these, do yourself a favor and remove the axle nut. It just started misfiring and threw a P0202 which was the #2 cyl fuel injector. Back I went to the junkyard and grabbed a couple injectors $10, victor reinz O-rings $18 and upper intake gaskets $9. Since I had to take the intake off I decided to do the plugs as I had no service history of them being replaced. Plugs I pulled out were NGK's. Replaced the #2 injector and plugs and now runs smooth again. May do a write up on the injector as it was really kind of a pain.